Simply splendid. Whether outdoors or in, the Kingsley Long Reclaimed Teak Rustic Coffee Table is a character piece that customers and staff alike just adore! Made out of dignified, lightened Reclaimed Teak; this classically designed coffee table is an excellent addition to a deep seating unit or alongside a few relaxing chairs for an open and inviting meeting area. The Kingsley Long Reclaimed Teak Rustic Coffee Table boasts long planks of Reclaimed Teak on a low-lying, beautifully designed refectory style base. The teak is treated to simulate a bleached out look, in keeping with both traditional East Coast architecture as well as fitting in with a modern, de-constructed look. 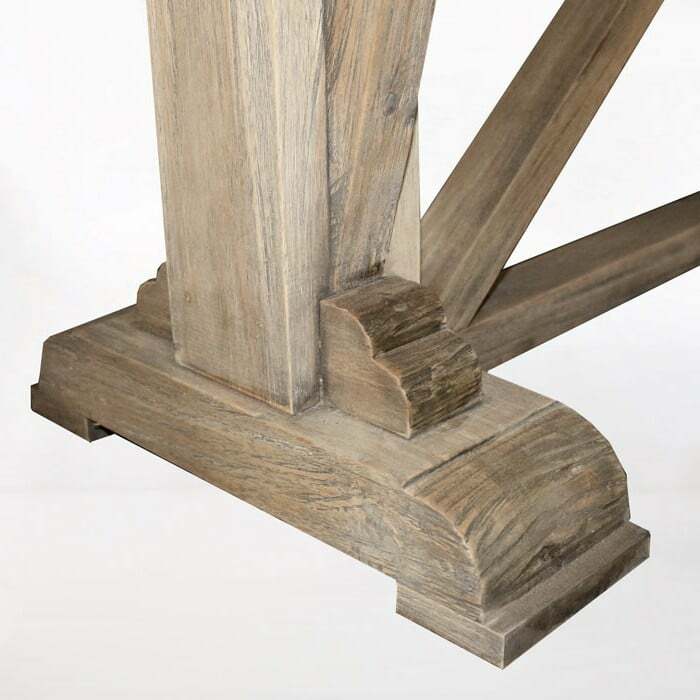 W20" x L63" x H19"
Reclaimed Teak has fast become a go-to item for many of our customers. Each piece seems rich with history and character because of the ultimately rustic vibe it gives off. Comprised together out of well-loved pieces of teak, using marine grade epoxy glues to ensure the preservation of this beautiful product. We recommend our Reclaimed Teak is placed outdoor under cover, as it is likely to age faster than our A-Grade Teak. Maintenance is easy with these products, simply wipe down after use, and dust when necessary! Occasionally an oil is appropriate to give the table that just bought sheen! 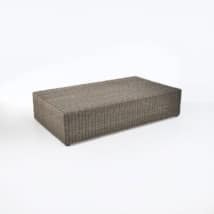 As well as Reclaimed Teak, Teak Warehouse also carries A-Grade Teak, Stainless Steel, Sunbrella® fabrics, Raw Concrete and a range of All Weather Wickers and mesh products. Choose from loungers, deep seating, accent tables, exquisite dining sets, umbrellas, cantilever umbrellas, relaxing chairs, ornaments, planters and much more! 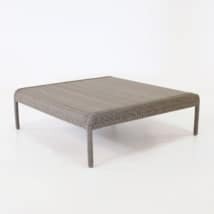 Like our wide version in this same group, this teak long coffee table is perfect for those narrow spaces where the coffee table needs to be minimalistic in size. What catches the eye is the most stunning detailing and workmanship on the base and legs. Using reclaimed teak and marine grade hardware, this long table is perfect for your outdoors or indoors. We assemble for you at no cost. These have just arrived in the warehouse, so we stock for immediate delivery. The Kingsley Long Reclaimed Teak Rustic Coffee Table is part of the Kingsley Collection featuring dining tables, storage unit and benches as well as another size of coffee table! Mix and match with pastel wicker dining chairs and deep seating for a whimsical, romantic look or create something more heavy duty with the addition of steels and aluminium products. We love the Kingsley Long Reclaimed Teak Rustic Coffee Table situated with a couple of wide relaxing chairs just a few meters away from a Kingsley matching dining table and match your dining chairs with your relaxing chairs! What an exquisite setting! You will adore hosting friends and family in this beautiful configuration. Be prepared for long hours of laughter and memories shared in your very own Kingsley set! 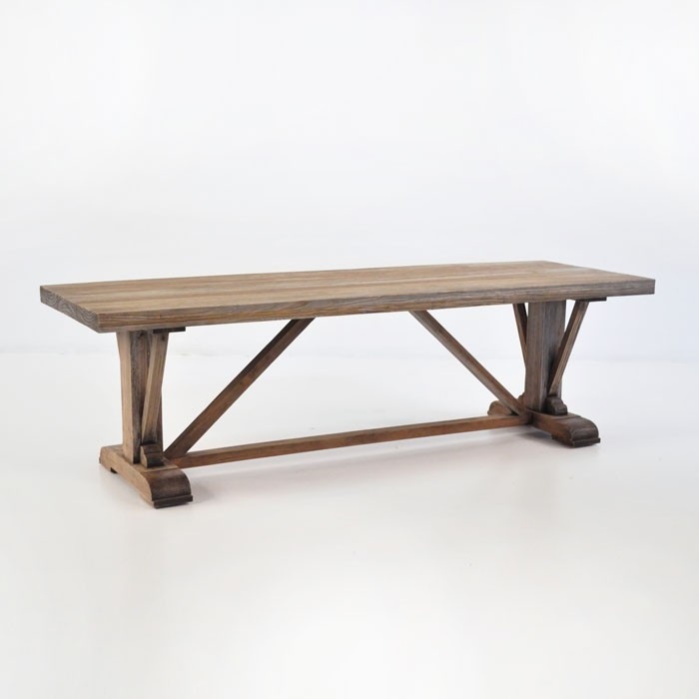 The Kingsley Long Reclaimed Teak Rustic Coffee Table is unique to Teak Warehouse, purchase yours today!